Educate Plant Health Care Systems’ owners, Ian Maguire (left) and Keith Weyrick (right), work hard to educate both their clients and their technicians. When Keith Weyrick patronized his local plant diagnostic clinic in 2012, samples in tow, he didn’t realize one of the clinic’s employees, Ian Maguire, would become his future business partner. Almost six years later, the pair co-owns Plant Health Care Systems of South Florida, a Miami-based plant care company that’s grown into a $1.7-million organization since its founding in 2013. Around that time, Weyrick and Maguire were both looking for an employment change. Deciding the timing was right, they partnered up. Weyrick and Maguire initially began their careers in separate worlds, as a second-generation nurseryman and a photographer, respectively. Weyrick got his start working for his family’s company, Quail Roost Nursery, and later owned a natural lawn care franchise. Maguire began his career as a digital photographer, working at the University of Florida’s Institute of Food and Agricultural Sciences, Tropical Research and Education Center. Proactive Plant Health Care Systems offers its services on an ongoing monthly basis. He adds that his 15-year tenure as a photographer allowed him to work in biological science programs and eventually led him to the job in a diagnostic clinic, where he first met Weyrick. The pair’s first client was Maguire’s friend, a landscaper who performed work at an exclusive Key Largo community. He had been unhappy with his previous application company and decided to give Plant Health Care Systems a chance. Plant Health Care Systems has since grown to 10 crew members serving more than 700 clients. It serves a 100 percent residential clientele. 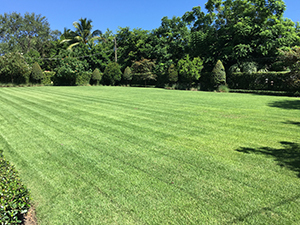 Complete lawn and plant care packages make up 90 percent of its services, while the remaining 10 percent is comprised of either plant care or lawn care packages. The company also offers add-on services, such as aeration. Part of the team’s success stems from the company’s scientific and preventive approach, which includes the inspection and diagnosis of a property prior to treatment. Before performing any application work, Maguire, Weyrick or a thoroughly trained technician takes a walk around the property, identifying plant issues on-site. If a technician is unsure about a problem, he snaps a picture and sends it to the owners. If a clear diagnosis still can’t be reached, the Plant Health Care Systems team takes a sample to a diagnostic clinic. The company also promotes a proactive—rather than reactive—method, which involves services on an ongoing monthly basis. “It’s obviously much easier to prevent an issue than to correct it,” Weyrick says. Maguire says the company’s other keys to success are constant client communication and collaboration with landscapers who may not offer plant health care services. Collaborating with other companies has led to more referrals, allowing Plant Health Care Systems to forgo additional marketing or advertising, according to Maguire. Despite the company’s open-communication style, Maguire says challenges arise when a customer’s perception of the company’s service differs from reality. While the team works hard to educate clients, Maguire says a few clients are unwilling to understand the process is natural and ongoing. In rare instances, he might even suggest artificial turf. Like many other companies in the industry, Plant Health Care Systems also struggles with finding a labor force. “We’ve got a good handle on the landscape and lawn problems, and we can buy equipment all day long, but getting the right people is the biggest challenge,” Weyrick says. To combat this problem, Weyrick says he and Maguire seek out people who demonstrate an interest in the industry and also embody the “three c’s:” caring, curious and consistent. New employees undergo a rigorous training process, spending up to six months riding along with an experienced spray technician. To retain the good employees, both owners say they promote ongoing education, such as encouraging employees to go back to school to earn a high school diploma or complete a spray certification exam. 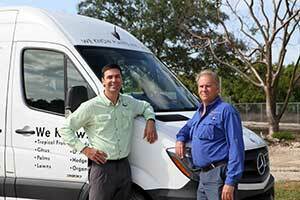 Weyrick advises other company owners to always be on the lookout for their next employee. While Plant Health Care Systems has experienced extreme growth periods of up to 300 to 400 percent, Weyrick and Maguire realize such a growth rate isn’t sustainable. They hope to grow to $2 million by the end of this year and to $5 million within the next three to five years.